This is a guest post by Nicole Radziwill, an assistant professor in the Department of Integrated Science and Technology at James Madison University in Harrisonburg, Virginia. 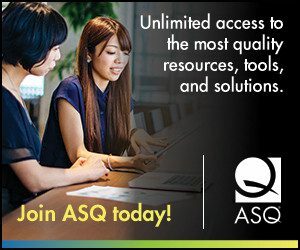 She writes about research in the quality field, quality consciousness, and innovation on her blog, Quality and Innovation. 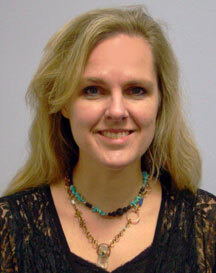 Nicole is also an ASQ Influential Voices blogger. What can you learn about quality in the middle of a counter-cultural gathering in the desert? A lot. And that’s just the start. Quality and innovation can be managed, but transformation must be catalyzed by new insights and experiences. It’s the process of inner transformation that allows us to see possibilities for creating future value. On August 24, my partner and I embarked on our annual trek to the Burning Man festival to be transformed. Burning Man is a yearly gathering of hundreds of thousands of people in the harsh wilderness of the Black Rock Desert in northwestern Nevada, U.S.
We joined 70,000 others in the creation of Black Rock City, a temporary community dedicated to art, technology, and radical self-expression that is dismantled (leaving no trace) a week later. The entire city is decommodified. No money is exchanged at all; however, gifts are given frequently. If you need something, it’s expected that you ask around. Someone will provide it! The community is guided by 10 Principles that include participation, communal effort, and civic responsibility. A Quality-Minded Approach: A quality-minded approach is essential. You’ll be in the desert for several days, so you need to bring sufficient food and water. Your shelter must withstand mud, extreme heat, hypothermia-inducing cold, and dust storms with hurricane-force winds. You need to make sure you don’t forget anything; you can’t just run to the store and quickly pick something up. Basic Quality Tools: Some of our camp mates learned this the hard way. When we arrived, they were building a 30-footdiameter geodesic dome. It would serve as the base of operations for a neurogaming event, which challenges two players wearing EEG headsets to see who can get into a meditative state the fastest. As they unpacked their gear, the discussion became heated. Without a projector, the competitors’ scores could not be displayed to the crowd. No one could find the projector. Team members glanced quizzically at each other. Unfortunately, basic quality tools weren’t part of their pre-trip planning. Fortunately, they found another camp willing to provide a projector on loan for a couple days. Waste and Value: Burning Man also trains me to think about waste in a totally different way. There are no trash cans, so what you bring in you must pack out. You can’t dump gray water on the ground due to Bureau of Land Management requirements — it has to be packed out, too. Loose hairs are also considered MOOP (Matter Out Of Place). I found myself choosing canned drinks instead of bottles (which are easier to safely crush and recycle), sparingly transferring dishwater of varying hues between dishes of varying dirtyness, preparing only enough food for each meal (and eating it all! ), and being extra careful combing out my hair. In a socially and environmentally conscious community, I didn’t want to leave any MOOP. 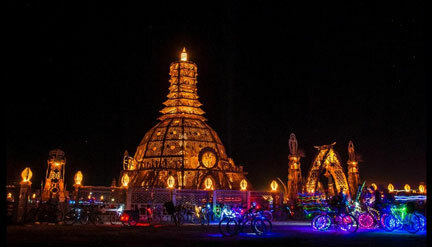 Embracing Variation and Innovation: What I love most about Burning Man, though, is that you are continually surrounded by technological innovation and beauty — all contributed by the participants. Interactive art installations are scattered throughout the city. For example, one night we sat in a “binaural beats therapy” pod, the size of a cargo van, that provided a light and sound show that stimulated a sensory deprivation environment. The environment encourages you to temporarily embrace variation, experience freedom from marketing and economic transactions, and practice giving, receiving, and expressing gratitude. Key Takeaway For Quality: This exploratory culture has been spreading around the globe for the past few years. Regional events can provide anyone with the opportunity to participate in this experiential, transformational culture that catalyzes innovation. But you don’t need to attend an event as radical as Burning Man. You can find hints of quality and even transformation in any offbeat event near you. Quality isn’t something restricted to an office or manufacturing floor. How can we implement liberating environments like this — that drive purpose, value, and meaning–while retaining a focus on quality? Next Next post: September Roundup: What's the Best Approach to Strategy?